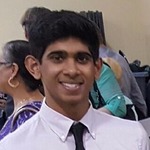 I am a senior at Archbishop Mitty High School and an intern at Stanford Medical School's Biochemistry Department who is interested in creating a unique and efficient therapy to address cancer and viral diseases. I am also an avid DIY bio enthusiast. Indeed! Johan and Eric have taught me almost everything I know!